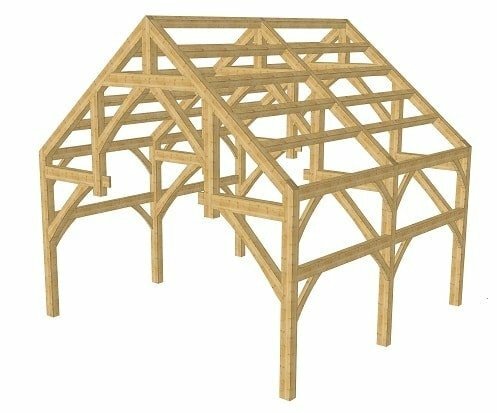 This artful 24×24 hammer truss heavy timber frame can be a great asset in many situations! It would make a wonderful great room extension to your existing home. You could also incorporate this space into a new construction hybrid timber frame design as a spectacular, high-volume great room. And the 576 square foot space can stand alone as a dramatic guest house. Although the hammer trusses deserve to be left exposed so their beauty can be enjoyed, the 26-foot high ceiling created by the 10 in 12 roof pitch can accommodate a small loft space for sleeping. There is of room for any style of windows, and plenty of them! The plan is designed with purlins to accept energy-efficient SIPs (structural insulated panels). And all timber is less than 16 feet in length, making the material cost-effective to purchase, and the frame easier to raise. The hammer beam trusses create a wonderful, completely open floor space that you can mold to enhance whatever activities you can dream up! The PDF plans are full of drawings, 3d renderings, and a timber list, providing you with everything that you will need to cut the frame, fast and accurately. 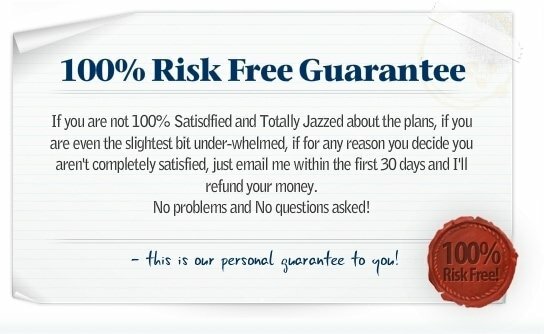 They are ready for instant download as soon as you purchase them! Which one of the two hammer beam frames would be easier to convert to 24 x 20 with a 10 12 pitch roof, the 24×24 or the 16×24 ?